1. Paraformaldehyde is insoluble polymerized formaldehyde. It is solubilized by depolymerizing it in a reaction catalyzed by base. The resulting solution contains formaldehyde in the form of methylene hydrate, HO-CH2-OH (formaldehyde, HCHO, is a gas). The solution is not stable: Formic acid can be produced and the formaldehyde can evaporate or repolymerize (28,30). Electron-microscopy-grade formaldehyde solutions are expensive and are also not stable once the ampoule is opened. It is less expensive and more convenient to dilute commercial formaldehyde (37% [w/w], Fisher certified ACS) in PBS. Commercial formaldehyde is stabilized in monomeric form by the addition of up to 15% methanol and is stored at room temperature (an opened bottle is good for up to 1 yr). Unfortunately, most references do not recommend fixing with stabilized formaldehyde because it is largely monomeric and will, therefore, only crosslink proteins directly and because of the methanol content (up to 1.5% when diluted). Methanol coagulates proteins and extracts lipids, altering membranes and destroying organelles, but is the effect of 1.5% methanol for 20 min observable at the level of light microscopy? I have not been able to detect any difference using confocal microscopy or deconvolution microscopy for specimens fixed with stabilized formaldehyde versus freshly made formaldehyde. However, in the absence of any published, rigorous comparison, I have recommended the old fashioned method adapted from Kiernan (28). Longer fixation, use sample immediately. Poor tissue preservation or old sample. Antibody not effective at dilution used. Try softer fix (shorter duration or lower temperature). (Table 2), then treat accordingly (see Notes 10 and 11). Change fluorophores/filter set. See staining controls (Table 2). Use secondaries that have been preadsorbed against other species Use different antibody Use labeled primary antibody Try different stain order Block with normal serum from the same animal species used to make the offending secondary, and postfix phospholipid membranes could also affect membrane-associated antigens. For a brief discussion see ref. 36. 3. Cautions on fixatives, preservatives, and stains: Fixatives fix the investigator's tissues as readily as they fix samples. They are toxic if absorbed through the skin or swallowed. Exposure to fumes or dust can irritate or destroy tissue in the eyes, mucous membranes, and respiratory tract. Formaldehyde or formalin, the traditional name for formaldehyde in aqueous solution, is also a carcinogen. It is harmful if absorbed through the skin, swallowed, or inhaled. Paraformaldehyde (powdered polymeric formaldehyde) is highly toxic. Avoid skin contact, do not breathe dust, or get it in the eyes. Use in a fume hood, wearing gloves and eye protection. Methanol can cause blindness if ingested. Avoid breathing the fumes. Sodium azide (used as a preservative) may be fatal if swallowed or absorbed through skin. It is harmful if inhaled. Keep sodium azide away from acids, heat, sparks, and flame. It is an explosion hazard, sensitive to mechanical impact; avoid rough handling. It reacts with copper and lead to produce explosive azides; explosions in laboratory plumbing containing these metals are possible. DAPI may be carcinogenic. It may be harmful if absorbed through the skin, swallowed, or inhaled. 4. Bovine serum albumin (BSA) is specified as a blocking agent. BSA will produce unacceptably high background if an antibovine secondary is required. Replace with normal serum from an appropriate species. This issue is discussed in Note 10. 5. Dissecting discs takes practice. To avoid deterioration, the discs should be fixed as quickly as possible after dissection; 20 min in cold PBS is the recommended maximum time for dissecting. Dissecting in serum-free insect medium preserves discs better than PBS, if you are slow. The fine forceps required to grasp with precision are very delicate and one way to minimize tip damage is to dissect in a drop of liquid on a plastic pad made from solidified rubber cement or aquarium sealant in a Petri dish. I dissect in a glass three-well spot plate (Hampton Research). I use the first well to pull the larvae apart, the second to clean up the discs, and the third for storing discs. 6. A method for handling large numbers of larvae is to cut off and discard the posterior half and then evert the anterior half by reaching inside, grasping, and pulling on the mouth hooks and papillae. The disc complexes will thus be exposed to fixative immediately. Further dissection can be done during fixation, or after. 7. Formaldehyde crosslinks are reversible in aqueous solution and the tissue will deteriorate noticeably in a matter of weeks at 4°C. Poor tissue preservation is shown by distortion of structure, excessive squashing, misshapen nuclei, and collapsed tissue. After fixation, discs can be stored in methanol or ethanol at 4°C if your antigen(s) is compatible with alcohol. At high concentration, alcohol extracts proteins and lipids, damages membranes, and destroys organelles and some antigens, including GFP. Before staining, rehydrate in a series of 90%, 75%, 50%, 25%, and 0% alcohol/PBS (15 min each). 8. Immunostaining artifacts can arise from fixation or from the staining process itself. The major causes of staining problems are poor penetration of the tissue by antibodies, nonspecific antibody binding, and interactions between reagents in multiple label stains. The protocol provided here makes no assumptions about the antibodies that will be used, but staining artifacts at each step can be minimized for a specific antibody. Some controls used to detect staining artifacts are discussed in Notes 9-11 and summarized in Table 2. 9. Antibodies: Nonspecific staining, which occurs when an antibody binds targets other than its antigen, creates background noise that can overwhelm the antibody-antigen signal. Affinity-purified antibodies are the best choice for staining tissue. In multiple-labeling experiments, it is preferable to use primary antibodies from different hosts, avoiding closely related hosts like rat and mouse. Secondaries that have been adsorbed to minimize crossreaction with other species are available commercially for multiple-label staining. Ideally, secondary antibodies should all be raised in the same host so they do not interact with each other. Secondaries that distinguish same-host antibodies by class and subclass are also available commercially. I have had good results with antibodies from Jackson ImmunoResearch Laboratories. It is common practice to reuse diluted antibodies, especially rare or expensive ones. This adds an element of uncertainty: At each use, the titer of antibody is reduced; also, diluted antibodies are not stable. Usually, the initial titer of antibody is high enough to get more than one successful stain and, with controls, the quality of the stain can be monitored. In accordance with Murphy's Law, deterioration becomes noticeable when you are looking at a particularly interesting sample. 10. Permeabilization: 0.3% Triton X-100 is used to solubilize membranes and give antibodies access to the cell proteins of the discs. Irregular staining, particularly where there is stain failure in the interior of the tissue rather than exterior, indicates poor penetration of tissue. IgM antibodies are particularly susceptible to penetration problems because each antibody has five Y-shaped units, each one as large as an IgG antibody. If there is poor staining of the interior of the discs after staining at high titer overnight at 4°C, permeability can be increased by increasing the time of incubation in the blocking solution, the amount of detergent, using another detergent, or using a harsher method of permeabilization, like methanol. However, these measures can also affect membrane-bound antigens. Some protocols specify detergent in the fixative. Although this may speed fixation and give access to proteins that might be degraded quickly, solubilizing phospholipid membranes could also affect membrane-associated antigens. For a brief discussion, see ref. 36. Blocking: Blocking is a way to reduce background staining due to nonspecific binding by antibodies. BSA was chosen as a source of nonimmune antibody for blocking any epitopes in the tissue that are capable of binding a variety of IgG. If an antibovine secondary antibody is used, BSA will increase the background instead of reducing it. Ideally, the blocking reagent should be normal serum from the host of the labeled secondary antibody and all secondaries should be from the same host to prevent interaction between them. 11. Incubation: Antibodies exhibit nonspecific binding if used in excess or incubated for too long. To get the strongest stain with an acceptable amount of background, test the antibody at a variety of dilutions. The time of incubation should permit diffusion of the antibody throughout the tissue. One to two hours at room temperature (or 4-8 h at 4°C) is a good starting point, but some reactions can require up to 24 h at 4°C. If staining is still uneven there may be a problem with permeabilization of the discs. Clearing/washing: Any unbound antibody remaining in the tissue will add to the background directly if the antibody is labeled or indirectly by binding labeled secondary far from the location of antigen. 12. Controls are used to identify staining artifacts. Table 1 lists the major staining artifacts with controls and some methods of prevention. Controls for single labeling: Autofluorescence is not usually a problem in discs, although other structures (e.g., the trachea and spiracles) autofluoresce. Autofluorescence should not vary under constant fixation conditions and probably only needs to be examined once for a particular microscope and filters. The controls for primary antibodies address two issues: identification of staining as a result of antibody-antigen binding (positive controls) and identification of staining as a result of nonspecific binding (negative controls). If characterizing a new antibody for immunofluorescence, read a fuller treatment of the testing involved, such as ref. 25. For a primary antibody that has already been characterized for immunofluorescence, using a different fixative may alter antigen-binding sites and nonspecific binding may occur because of epitopes found in this particular tissue (with this particular fix). The best negative control is preimmune serum or normal serum from the same host as the primary. A positive control is required if the staining pattern for the antigen is an issue in the experiment (or to verify stain failure). If the antigen has a distinctive staining pattern, it may be easy to evaluate, a diffuse staining pattern may always remain a challenge. Staining with only the secondary will show background staining as a result of nonspecific binding by the secondary, which can occur in addition to binding to the target host. A secondary antibody that exhibits significant nonspecific binding in the presence of the primary antibody can be incubated against discs to remove the crossreacting IgG. In my experience, commercial labeled secondaries produce very little background except when I have tried to amplify a signal using biotinylated secondary plus a tertiary stain, which produced a punctate background. 1. Stain with the first monoclonal and the corresponding labeled secondary. 2. 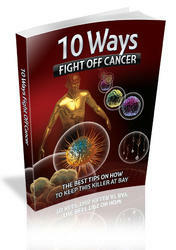 Block open anti-mouse target sites on the labeled secondary with 20% normal mouse serum. 3. Block unoccupied mouse target sites on the primary (and the mouse serum from the previous step) with fivefold excess of unlabeled anti-mouse monovalent Fab fragments. 5. After all of this, the second monoclonal will not be captured by the first labeled secondary and the second anti-mouse secondary will not have access to target sites on the first monoclonal. 13. Antifade agents work by reducing the generation and/or diffusion of reactive oxygen species. Many formulations are available commercially, like Vectashield, specified in this protocol. There are various others available in the literature; for a selection, see ref. 36. 14. Slides, even precleaned slides, are often dusty. By Murphy's Law, a vividly fluorescent particle of dust will be colocated with the most interesting data. Slides can be cleaned with detergent (e.g., 5% sodium dodecylsulfate [SDS] in water), rinsed thoroughly with double-distilled water to remove all traces of detergent, and dried. Cover slips from a newly opened box or a box that is kept closed are much likelier to be clean. 15. If only a few discs are mounted, they may become compressed vertically. To avoid compressing the discs, use small pieces of a no. 1.5 cover slip in the corners to support the cover slip. (If the discs move as you focus, try putting a drop of 500 |g/mL poly-L-lysine [Sigma-Aldrich] in water on the slide where the discs will be mounted and allow to dry.) Even better preservation of the three-dimensional structure is possible by embedding the discs in an acrylamide pad, a technique originally developed for high-resolution microscopy of chromatin structure (37,38). 1. Harbecke, R., Meise, M., Holz, A., et al. (1996) Larval and imaginal pathways in early development of Drosophila. Int. J. Dev. Biol. 40, 197-204. 2. Fuse, N., Hirose, S., and Hayashi, S. (1994) Diploidy of Drosophila imaginal cells is maintained by a transcriptional repressor encoded by escargot. Genes Dev. 8, 2270-2281. 3. Cohen, S. M. (1993) Imaginal disc development, in The Development of Drosophila melanogaster (Bate, M. and Martinez Arias, A., eds. ), Cold Spring Harbor Laboratory Press, Plainview, NY. 4. Hayashi, S., Hirose, S., Metcalfe, T., and Shirras, A. D. (1993) Control of imaginal disc development by the escargot gene of Drosophila. Development 118, 105-115. 5. Wolff, T. and Ready, D. F. (1993) Pattern formation in the Drosophila retina, in The Development of Drosophila melanogaster (Bate, M. and Martinez Arias, A., eds. ), Cold Spring Harbor Laboratory Press, Plainview, NY. 6. Fristrom, D. and Fristrom, J. W. (1993) Metamorphic development of the adult epidermis, in The Development of Drosophila melanogaster (Bate, M. and Martinez Arias, A., eds. ), Cold Spring Harbor Laboratory Press, Plainview, NY. 7. Bryant, P. J. and Levinson, P. (1985) Intrinsic growth control in the imaginal primordial of Drosophila, and the autonomous action of a lethal mutation causing overgrowth. Dev. Biol. 107, 355-363. 8. Bate, M. and Martinez Arias, A. (eds. ), (1993) The Development of Drosophila melanogaster, Cold Spring Harbor Laboratory Press, Plainview, NY. 9. Held, L. I. (2002) Imaginal Discs: The Genetic and Cellular Logic of Pattern Formation. Cambridge University Press, Cambridge. 10. Hipfner, D. R. and Cohen, S. M. (1999) New growth factors for imaginal discs. BioEssays 21, 718-720. 11. Kurzik-Dumke, U., Gundacker, D., Renthrop, M., and Gateff, E. (1995) Tumor suppression in Drosophila is causally related to the function of the lethal(2) tumorous imaginal discs gene, a dnaJ homolog. Dev. Genet. 16, 64-76. 12. Kylsten, P. and Saint, R. (1997) Imaginal tissues of Drosophila melanogaster exhibit different modes of cell proliferation control. Dev. Biol. 192, 509-522. 13. Brook, W. J., Diaz-Benjumea, F. J., and Cohen, S. M. (1996) Organizing spatial pattern in limb development. Annu. Rev. Cell Dev. Biol. 12, 161-180. 14. Russell, M. A., Ostafichuk, L., and Scanga, S. (1998) Lethal P-lacZ insertion lines expressed during pattern respecification in the imaginal discs of Drosophila. Genome 41, 7-13. 15. Weigmann, K., Cohen, S. M., and Lehner, C. F. (1997) Cell cycle progression, growth and patterning in imaginal discs despite inhibition of cell division after inactivation of the Drosophila Cdc2 kinase. Development 124, 3555-3563. 16. Dickson, B. and Hafen, E. (1993) Genetic dissection of eye development in Droso-phila, in The Development of Drosophila melanogaster (Bate, M. and Martinez Arias, A., eds. ), Cold Spring Harbor Laboratory Press, Plainview, NY. 17. Agnes, F., Suzanne, M., and Noselli, S. (1999) The Drosophila JNK pathway controls the morphogenesis of imaginal discs during metamorphosis. Development 126, 5453-5462. 18. Maves, L. and Schubiger, G. (1998) A molecular basis for transdetermination in Drosophila imaginal discs: interactions between wingless and decapentaplegic signaling. Development 125, 115-124. 19. Li, C. and Meinertzhagen, I. A. (1997) The effects of 20-hydroxyecdysone on the differentiation in vitro of cells from the eye imaginal disc from Drosophila melanogaster. Invertebr. Neurosci. 3, 57-69. 20. Ramirez-Weber, F. A. and Kornberg, T. B. 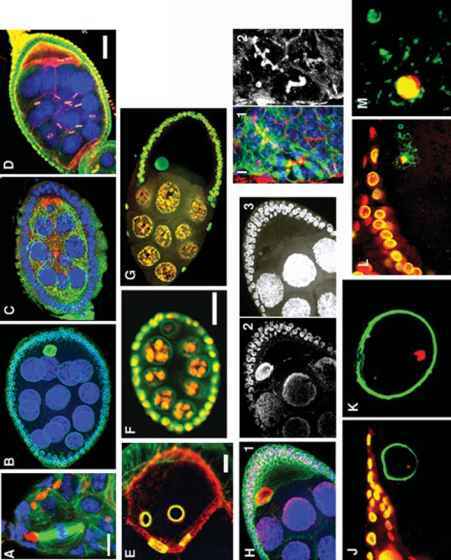 (1999) Cytonemes: cellular processes that project to the principal signaling center in Drosophila imaginal discs. Cell 97, 599-607. 21. Ramirez-Weber, F. A. and Kornberg, T. B. (2000) Signaling reaches to new dimensions in Drosophila imaginai discs. Cell 103, 189-192. 22. Gibson, M. C. and Schubiger, G. (2000) Peripodial cells regulate proliferation and patterning of Drosophila imaginal discs. Cell 103, 343-350. 23. Cho, K. O., Chern, J., Izaddoost, S., and Choi, K. W. (2000) Novel signaling from the peripodial membrane is essential for eye disc patterning in Drosophila. Cell 103, 331-342. 24. Lane, D. and Harlow, E. (1988) Antibodies: A Laboratory Manual. Cold Spring Harbor Laboratory Press, Cold Spring Harbor, NY. 25. Harlow, E. and Lane, D. (1999) Using Antibodies: A Laboratory Manual. Cold Spring Harbor Laboratory Press, Plainview, NY. 26. Sullivan, W., Ashburner, M., and Hawley, R. S. (2000) Drosophila Protocols. Cold Spring Harbor Laboratory Press, Plainview, NY. 27. Ashburner, M. (1989) Drosophila: A Laboratory Manual. Cold Spring Harbor Laboratory Press, Cold Spring Harbor, NY. 28. Kiernan, J. A. (1990) Histological and Histochemical Methods: Theory and Practice, 2nd ed., Pergamon, New York. 29. Hayat, M. A. (1981) Fixation for Electron Microscopy. Academic, New York. 30. Hayat, M. A. (1989) Principles and Techniques of Electron Microscopy: Biological Applications, 3rd ed., CRC, Boca Raton, FL. 31. Audibert, A., Debec, A., and Simonelig, M. (1996) Detection of mitotic spindles in third-instar imaginal discs of Drosophila melanogaster. Trends Genet. 12, 452-453. 32. Haugland, R. P. (1996) Handbook of Fluorescent Probes and Research Chemicals, 6th ed., Molecular Probes, Inc., Eugene, OR. 33. Mason, W. T. (1999) Fluorescent and Luminescent Probes for Biological Activity: A Practical Guide to Technology for Quantitative Real-Time Analysis, 2nd ed., Academic, San Diego, CA. 34. Chazotte, B. (1998) Nonimmunological fluorescent labeling of cellular structures, in Cells: A Laboratory Manual (Spector, D. L., Goldman, R. D., and Leinwand, L. A., eds. ), Cold Spring Harbor Laboratory Press, Plainview, NY. 35. Spector, D. L., Goldman, R. D., and Leinwand, L. A. (eds.) (1998) Cells: A Laboratory Manual, Cold Spring Harbor Laboratory Press, Plainview, NY. 36. Jacobson, K. A. (1998) Preparation of cells and tissue for fluorescence microscopy, in Cells: A Laboratory Manual (Spector, D. L., Goldman, R. D., and Leinwand, L. A., eds. ), Cold Spring Harbor Laboratory Press, Plainview, NY. 37. Urata, Y., Parmelee, S. J., Agard, D. A., and Sedat, J. W. (1995) A three-dimensional structural dissection of Drosophila polytene chromosomes. J. Cell Biol. 131, 279-295. 38. Bass, H. W., Marshall, W. F., Sedat, J. W., Agard, D. A., and Cande, W. Z. (1997) Telomeres cluster de novo before initiation of synapsis: a three-dimensional spatial analysis of telomere positions before meiotic prophase. J. Cell Biol. 137, 5-18.